Tack Designs LLC | Promotional Products & Apparel | Pryor, Oklahoma - Your Brand Is Your Business - Market It! Your Brand Is Your Business - Market It! As a marketing professional, you understand better than anyone the importance of establishing a distinct brand presence for your company. People gravitate to those they identify with and can trust with their money. No matter your industry or market segment, the best way to connect with your top audience is to maintain a strong and consistent appearance, and of course, show your brand off! These three doses of advice will give your brand the recognition it needs to bring in new customers who aspire to achieve your level of branding. 1. Establish all of the elements. Decide what you stand for, then make sure everyone knows. What makes you stand out among the masses? Your brand should be well thought out and genuine. It needs to embody what you stand for as a company. You’ll need a logo, possibly a slogan or tagline, a mission, and brand standards, including your corporate color palette, typography guidelines, and logo usage. Take the time to really think about the emotional response you want your brand to elicit. Color plays a huge role in this. 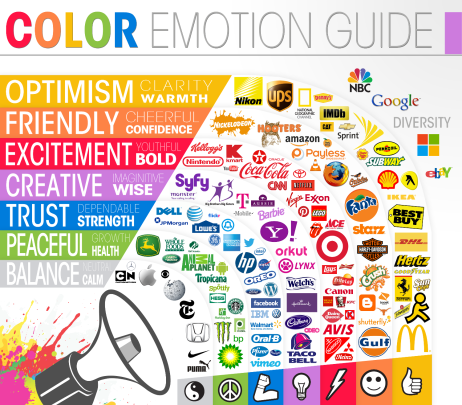 Check out the color emotion guide below to see what different colors mean. You’ll never be able to establish a solid brand if you keep changing it up. Therefore it’s important to spend the time to come up with a timeless logo, then stick with it. You want people to catch a glimpse of your logo and immediately know that it’s your company. They won’t be able to do this if you’re not consistent. One brand that has done this especially well over the decades is Coca-Cola. 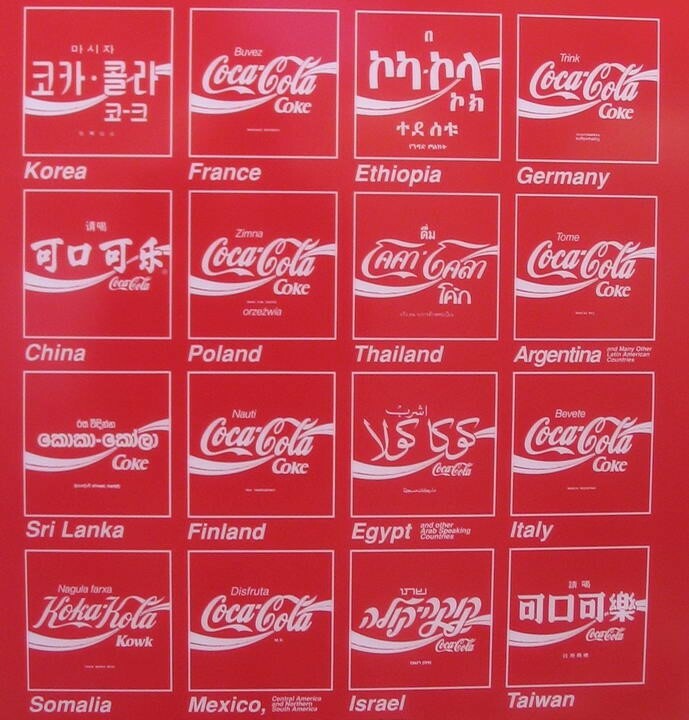 Even when the logo is in different languages, you can still tell it’s Coca-Cola. Now that you’ve identified your brand, it’s time to get it out there. Put your logo on your business cards, on your website, in your email signature, on catalogs, advertisements, brochures, and all of your other marketing pieces. And – obviously – put your logo on promotional products! They make it extremely easy for people to see your brand and associate it with something for future recall. There are a million ways you can get your company name in front of the consumer, but first, you must be proactive in differentiating your brand image.